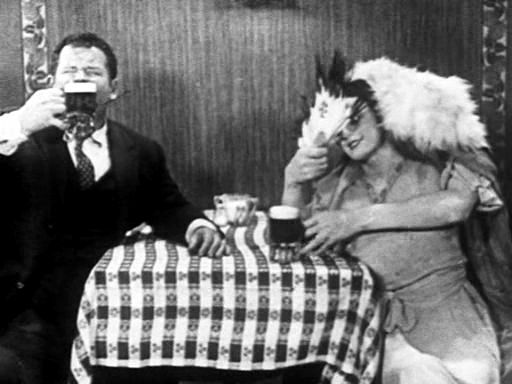 Possibly the funniest short to date, though it lacks the formal brilliance of Jewish Prudence, is this Charley Chase film featuring Oliver Hardy. Chase is one of the most well-regarded comics of the silent period, though he isn’t nearly as well-known as the superstars. This is, I think, the first film I’ve seen him in (though he did have a small part in the first film in this series, Thundering Fleas). He looks a bit like John Cleese: tall, gawky and angular with a little mustache and, at least in this film, an air of bemused competence. He’s not always in control of his world, but he’s having fun in it nonetheless. 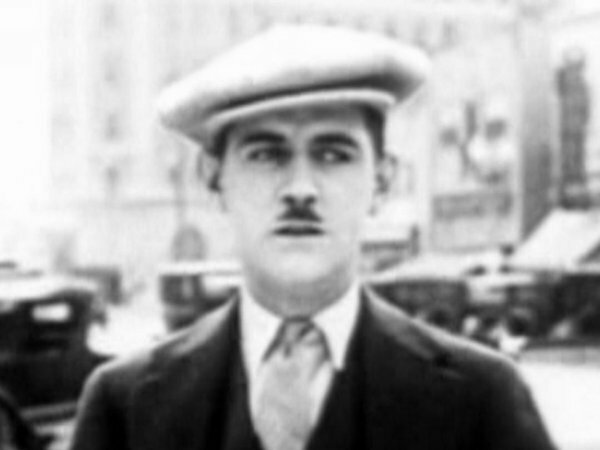 Chase plays an idle millionaire who helps a cop (the always welcome Eugene Pallette) chase down an even idler girl who’s driving like a maniac through the streets of Los Angeles (one of the little pleasures of silent films: the time capsule look at the city as it was when it was little more than a series of undeveloped villages loosely connected by dirt roads). They catch the girl but she’s so cute and charming they decide to help her buy some linens. You know those solemn news stories every Thanksgiving weekend about the craziness at Black Friday sales and how we can’t believe society has sunk so low that people will actually physically fight each other for a shot at a decent bargain? Yeah, that’s not new. 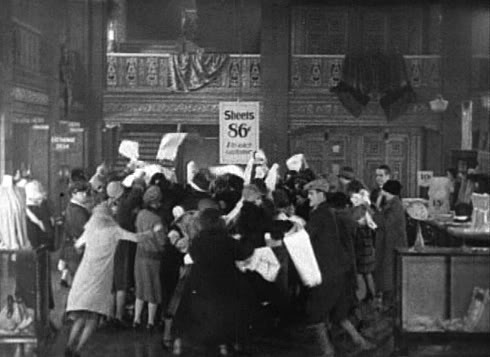 This marks the third silent I’ve seen wherein the violent lunacy of sale-shoppers is a major set-piece (the others being Chaplin’s The Floorwalker from 1916 and Harold Lloyd’s 1923 Safety Last!). After the sale, the girl (played by Martha Sleeper, who was also in Thundering Fleas and whose last screen appearance was in Leo McCarey’s The Bells of St. Mary’s) tells Chase her father hates idlers and so Chase becomes his chauffeur, setting in motion the second half of the film. The father is being blackmailed by Oliver Hardy (playing “Big Bill”), who possesses an incriminating letter. The father and Chase go to a local speakeasy to get the letter back, but the bouncer won’t let them in unless accompanied by a woman. Their first attempt (dressing the father in drag) is foiled and ends with the father being chased away by the police (“That she is a he!”), so Chase gets a mannequin and, manipulating it Weekend at Bernie’s style, uses it to flirt with Hardy and get the letter back. This culminates in a charming fight scene wherein everyone in the bar throws bottles and plates at Chase while he bats the objects right back at them (knocking them all unconscious) using a drum and a banjo like tennis rackets. The reveal of the whole bar piled up with unconscious bodies is perfectly timed and one of the comic high points of the series thus far. As is the film’s capper, when Chase mistakes the girl for the mannequin and attempts (off-screen) to retrieve the letter from its hiding place in her dress with disastrous results. Love your description of the bar fight scene. Awesomeness. Thanks. The hardest part of these for me is translating the on-screen actions into words. Descriptive writing is not a thing I'm good at at all.